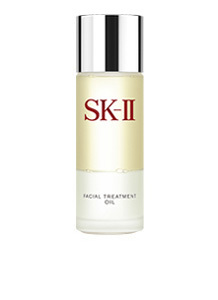 When you’re a constant fixture on the Hollywood red carpet, like SK-II global brand ambassador Cate Blanchett, your skin always needs to be ready for its close-up. The Academy Award-winning actress - who was also nominated for the Best Actress Oscar this year for her role in Carol - opens up to SK-II about her pre-event skincare rituals and red carpet beauty routine, providing tips that you can apply to create your own paparazzi-ready look. Cate admits that she owes her crystal clear skin to SK-II’s signature Facial Treatment Essence, which she’s loyally used for more than a decade. Cate's makeup artist, Jeanine Lobell, also shared this useful tip for achieving the actress's red carpet look: "When it was time to apply foundation, I mixed in a few drops of the new Facial Treatment Oil which instantly hydrated Cate's skin, creating a dewy glow," Jeanine said. 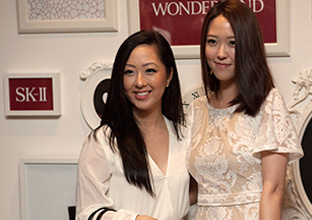 "Having a good base for makeup application is the key to a beautiful final makeup look." To achieve a natural “glow from within” radiance, Cate uses GenOptics Aura Essence, a whitening serum that instantly penetrates the skin to brighten up dull skin. 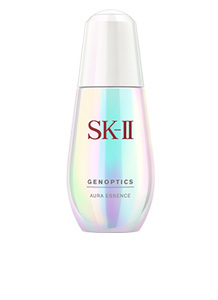 "The SK-II GenOptics Aura Essence leaves my skin feeling moisturized and gives it great luminosity,” said Cate. To refresh her skin and makeup look while on-the-go, Cate slips the Mid-Day Miracle Essence into her clutch. 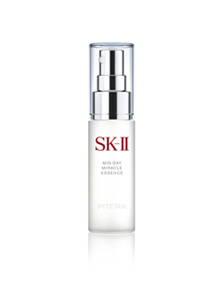 Filled with Pitera™-packed essence, the handy spray bottle gives her skin an instant boost of nourishing hydration throughout the day, whether she's on the red carpet or at an Oscars after-party.